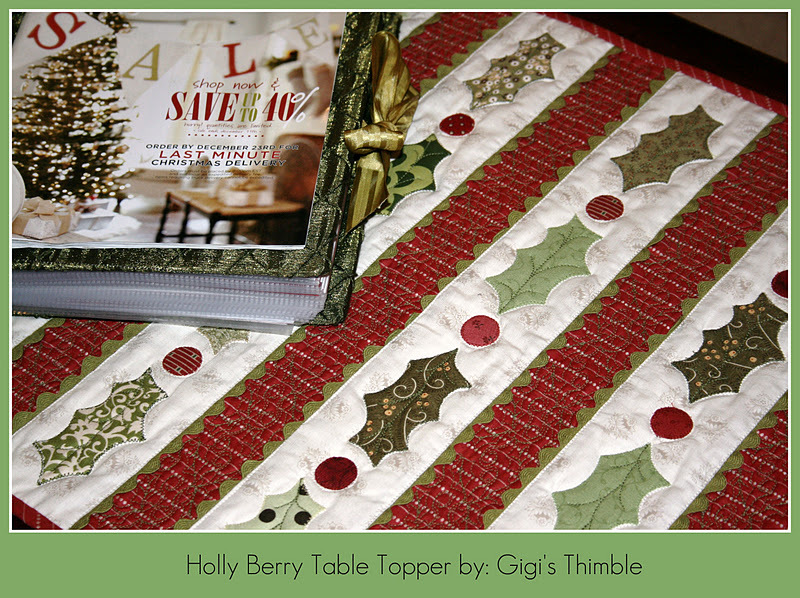 In case some of you didn't get a chance to stop by the Quilt Story blog last week, I thought I would post the tutorial for my Holly Berry Table Topper here, as well. 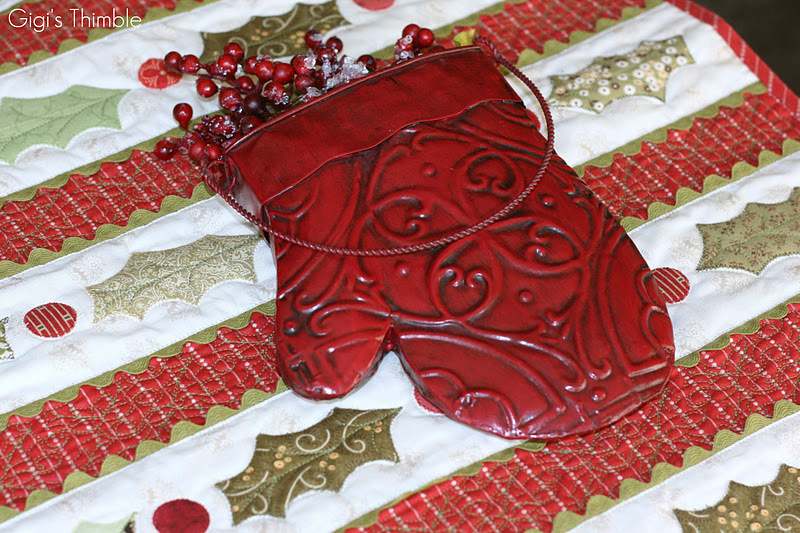 In my opinion, there is nothing better than a handmade gift for the holidays and this little project is perfect for those who want to make a quick project on a budget! First you will need to trace the leaf template (20 times) and a U.S. nickle (15 times) onto the paper side of fusible web. The leaf should measure 1 3/4" x 3 1/2" and the circle should measure 7/8" in diameter. 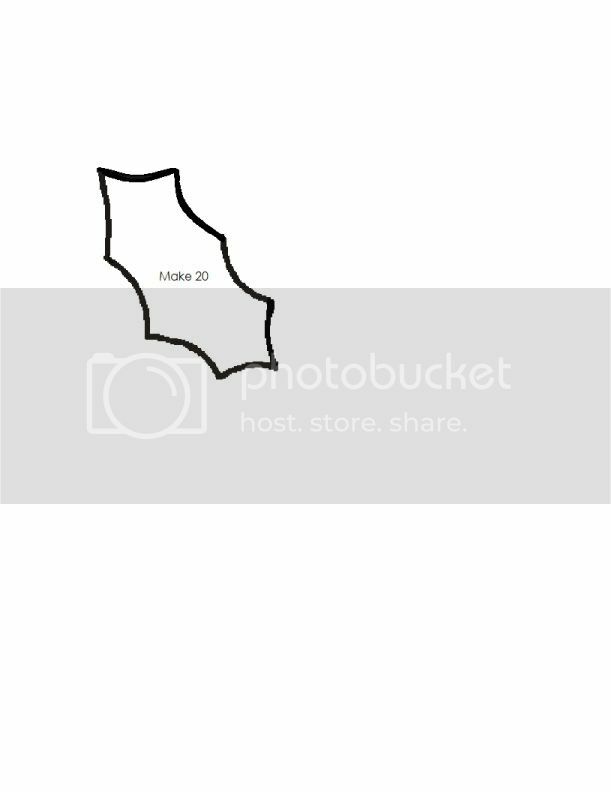 Click HERE for the leaf template. Right click on the image. Copy and then paste the image into a word document. You may need to enlarge the image a little. I can't seem to upload the file without it changing the size so you may have to adjust that on your own computer. Roughly cut out each shape. Iron (paper side up) to the wrong side of the appropriate colored fabric scraps. Cut out each shape on the traced line (leaving the paper on at this point). Next, from your beige colored fabric, cut three 3-1/2" x width of fabric strips. Sub cut these strips into five 3-1/2" x 20" strips. Fold one strip in half and press with a warm iron to mark the center. Then fold in each end to the center point and press again. Peel of the paper back of three berries. Center one berry on each fold mark (the edge of each berry should be 1-1/4" away from the edge of the beige strip). Press with a warm iron to adhere. Repeat this process for the other four strips of leaves and berries. Once all of the leaves and berries are adhered, machine applique around each one using a small zig zag stitch and coordinating thread. 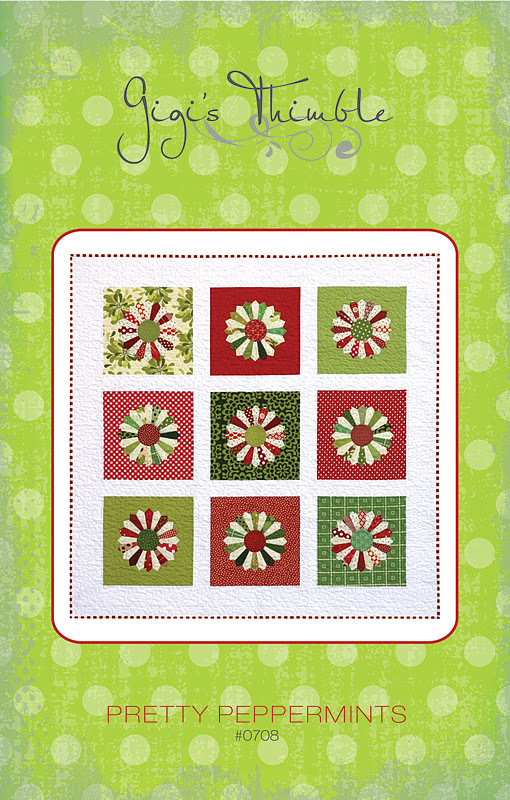 From your red fabric, cut three 2-1/2" x width of fabric strips. Sub cut these into six 2-1/2" x 20" strips. You will also need to cut ten 21" strips of ric rac. Very cute project, ty for the tutorial! Cute. May have to try this. I copied the tutorial into my word documents and I was able to download the template a couple days ago. I have all my berries & leaves on the white strips and am doing a tiny blanket stitch on my machine this evening. Should have it all pulled together tomorrow night. It is super cute! Thanks!! In a quiet moment, I found your blog on the internet. I have never made a quilt, but your Holly berry is a topper for me. this is going to be my first quilt project. 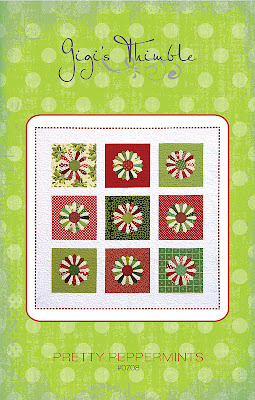 I just love this pattern thanks so much for sharing.. This is adorable! I would love for you to do a guest post on my site featuring this! :) http://sew-licious.blogspot.com. I have just found this and think it is beautiful. I know I have the fabrics for this! Just let me at it!! !